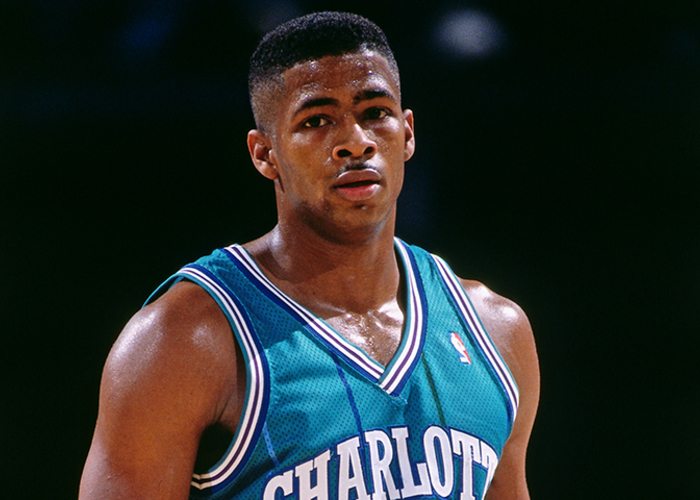 Adding combo guard Kendall Gill before the start of the 1990-91 NBA season helped quickly catapult the Charlotte Hornets up the Eastern Conference standings during the first of his two runs with the organization. 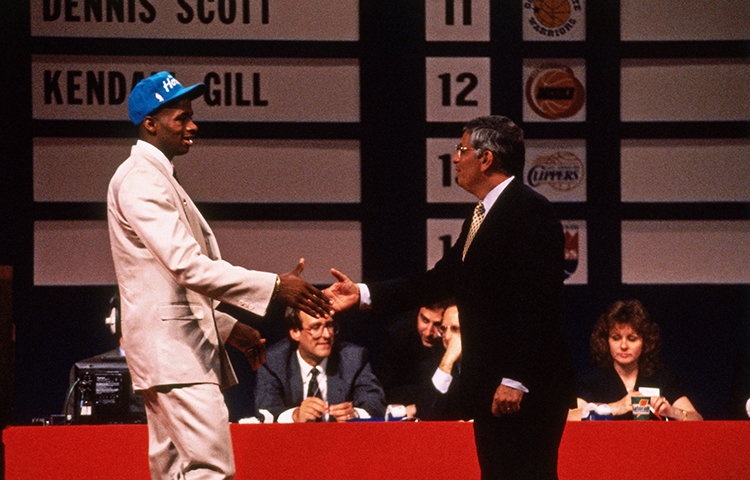 A Second-Team All-American from Illinois, the franchise snagged Gill with the fifth overall pick in the 1990 NBA Draft. Gill quickly became another key face of the young organization as he finished his rookie season with averages of 11.0 points, 3.2 rebounds, 3.7 assists and 1.3 steals in 82 appearances. Gill’s triumphant debut season made him the first of four players in franchise history to land on the NBA All-Rookie First Team. Along the way, he and teammate Rex Chapman also competed in the Slam Dunk Contest at the 1991 NBA All-Star Game, which was hosted at the Charlotte Coliseum. As an NBA sophomore, Gill erupted for 20.5 points, 5.1 rebounds, 4.2 assists and 1.9 steals in 79 outings. 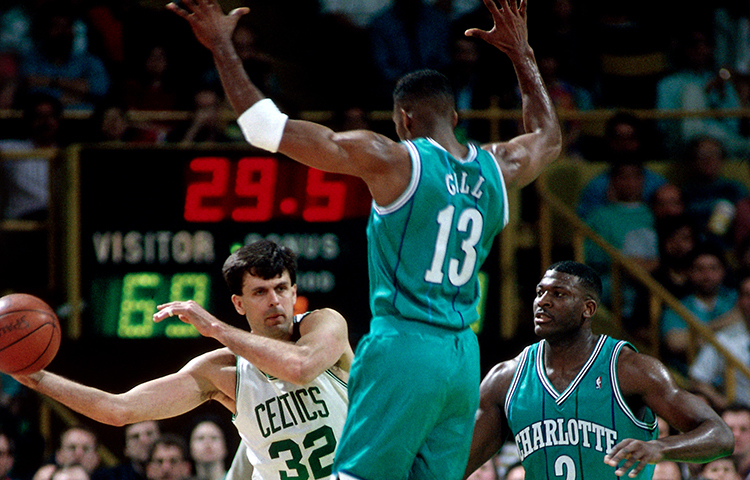 The Hornets improved by a total of 12 wins over Gill’s first two seasons and another 13 the following year, which ended with the franchise’s first-ever playoff series win over the Boston Celtics. 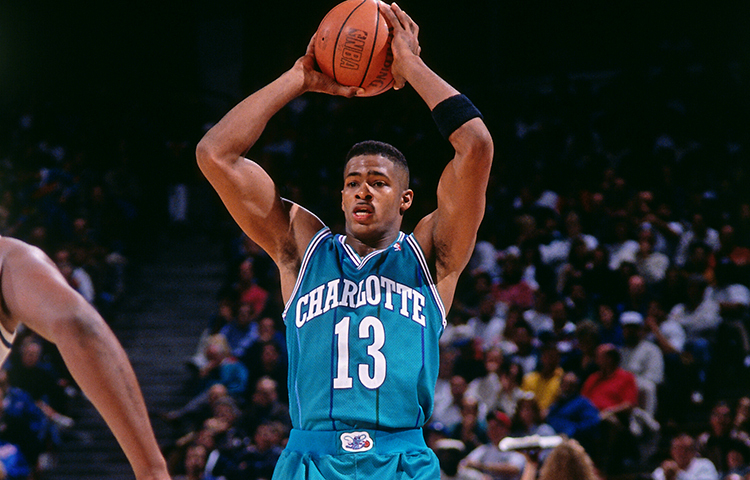 Looking to increase team depth, the Hornets wound up trading Gill to the Seattle SuperSonics on Sept. 1. 1993 in exchange for Dana Barros, Eddie Johnson and first-round swap rights in the upcoming NBA Draft. 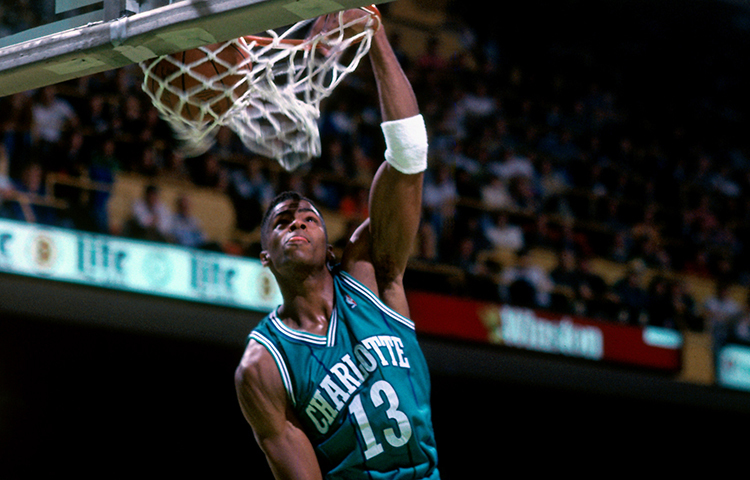 Two summers later, Gill was reacquired by the Hornets in a deal that sent Hersey Hawkins and David Wingate to the Pacific Northwest. 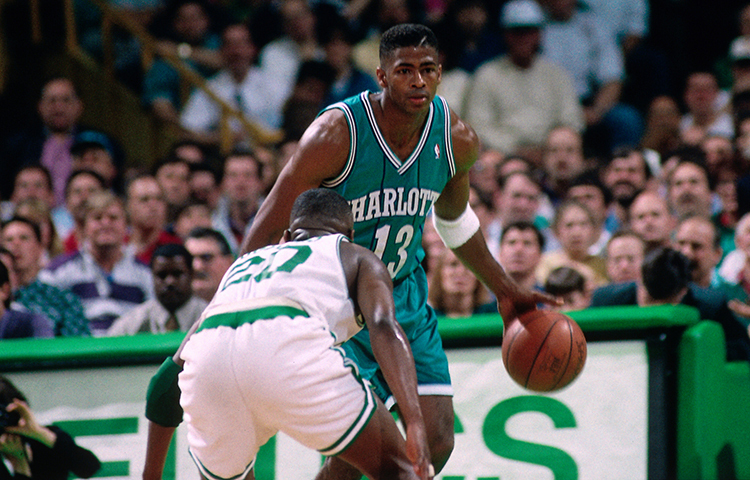 Gill averaged 12.9 points, 5.3 rebounds, 6.3 assists and 1.2 steals in 36 games for Charlotte in the first half of the 1995-96 campaign. 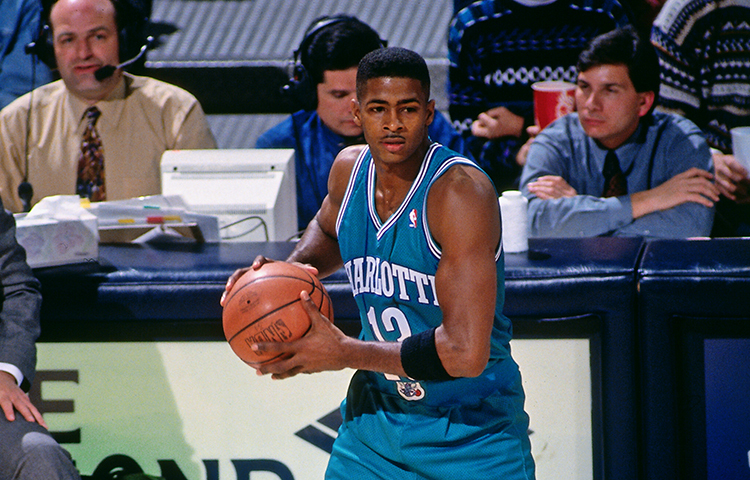 Gill’s second stay in Charlotte didn’t last nearly as long as he was traded again on Jan. 19, 1996 – this time to the New Jersey Nets as part of a transaction that sent Kenny Anderson to the Hornets. Gill played another nine NBA seasons for the Nets, Miami Heat, Minnesota Timberwolves, Chicago Bulls and Milwaukee Bucks before retiring in 2005. 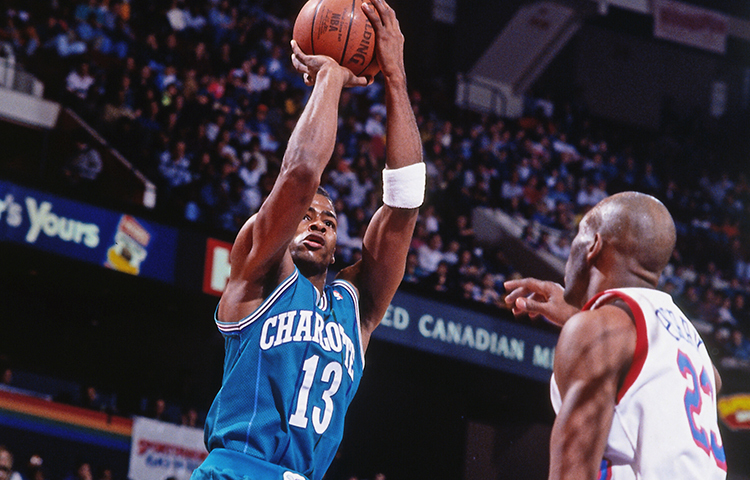 Gill currently ranks eighth in franchise history in all-time steals (398), seventh in steals per game (1.5) and owns the fourth-highest single-season field goals total (666; 1991-92). He is the only Hornet player with at least 4,000 points, 1,000 rebounds, 1,000 assists and 300 steals in under 300 regular season games played for the franchise. Today, Gill works as a Chicago Bulls analyst for NBC Sports and also took part in the inaugural season of the BIG3 basketball league in 2017. Charlotte Hornets © 2017. All Rights Reserved.